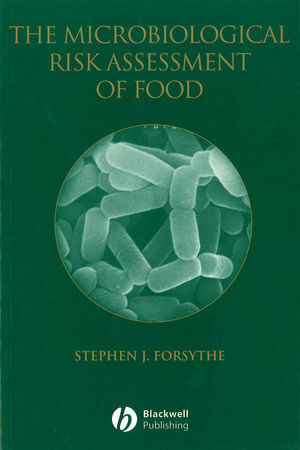 Dr Stephen J. Forsythe is Reader in Microbiology at the Department of Life Sciences, Nottingham Trent University, UK. 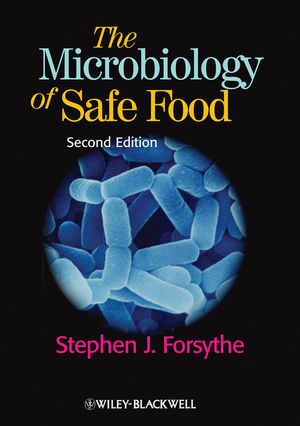 Foodborne Microbial Pathogens in World Trade: Foodborne microbial pathogens; Chronic sequelae following foodborne illness; Emergence and re-emergence of foodborne pathogens and toxins; Changes in host susceptibility and exposure; Processing methods and globalisation of the food industry; Changes in consumption pattern; Immunological status; Malnutrition; Changing perceptions and values; Risk of food poisoning; The cost of foodborne diseases; International control of microbiological hazards in foods; Sanitary and Phytosanitary (SPS) Agreement; Origin of microbiological risk assessment. 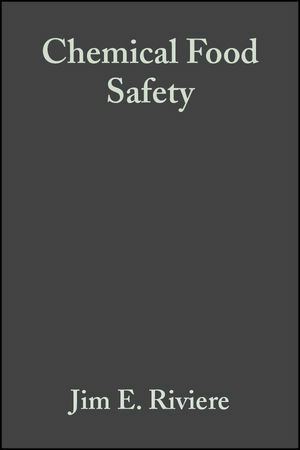 Food Safety, Control and HACCP: Outline of HACCP; Food hazards; Pre-HACCP Principles; Principle 1 Hazard Analysis; Principle 2 Critical Control Points; Principle 3 Critical Limits; Principle 4 CCP Monitoring; Principle 5 Corrective Actions; Principle 6 Verification; Principle 7 Record-keeping; Control at source; Product design and process control; Intrinsic and extrinsic factors affecting microbial growth; Irradiation; High Pressure Technology; Temperature control of microbiological hazards; Microbial response to stress; Response to pH stress; Heat- and cold shock response; Response to osmotic shock; Response to high hydrostatic pressure; Predictive modelling ; Primary models and the Gompertz and Baranyi equations; Secondary models; Tertiary models ; Microbiological Criteria; Attributes sampling plan; Operating characterisitic curve. Risk Analysis: Overview of Microbiological Risk Assessment; Risk Assessment; Risk Management; Risk Communication; Risk Assessment; Statement of purpose; Hazard Identification; Exposure Assessment; Hazard Characterization; Preface; Dose-response assessment; Dose-response models; Dose and infection; Risk Characterization; Production of a formal report; Triangular distributions and Monte Carlo simulation; Risk Management; Risk assessment policy; Risk Profiling; Food Safety Objectives; Risk Communication. Application of Microbiological Risk Assessment: Salmonella spp. ; S. Enteritidis in shell eggs and egg products; Hazard identification and hazard characterization of Salmonella in broilers and eggs; Exposure assessment of Salmonella Enteritidis in eggs; Exposure assessment of Salmonella spp. in broilers; Salmonella spp. in cooked chicken; Salmonella spp. in cooked patty; Poultry FARM; Domestic and sporadic human salmonellosis; Campylobacter jejuni/coli; jejuni risk from fresh chicken; Risk profile for pathogenic species of Campylobacter in Denmark; Risk assessment of C. jejuni in broilers; Campylobacter fluoroquinolone resistance; Listeria monocytogenes; L. monocytogenes hazard identification and hazard characterization in ready-to-eat foods; L. monocytogenes exposure assessment in ready-to-eat foods; Relative risk of L. monocytogenes in selected ready-to-eat foods; L. monocytogenes in EU trade; L. monocytogenes in meat balls; Enterohaemorrhagic E. coli (EHEC); E. coli O157:H7; E. coli O157:H7 in ground beef; Bacillus cereus; cereus risk assessment ; Vibrio parahaemolyticus; Public health impact of V. parahaemolyticus in raw molluscan shellfish; Mycotoxins; Aflatoxins; Ochratoxins; Other mycotoxins; Rotaviruses; Viral contamination of shellfish and coastal waters. 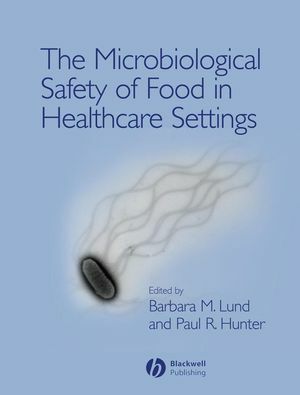 "This book should serve as background reading for those interested in the field of microbial risk assessment" Pradeep Malakar, Microbiology Today, 2003.